MSF staff often face barriers to learning and development opportunities due to the remoteness and poor connectivity in our projects. Tembo will provide missions with full access to relevant content, reaching field staff that currently lack access to current MSF learning programs. By incorporating learning solutions that are adapted to user needs into the platform, Tembo will help to better prepare frontline staff implementing medical and humanitarian interventions, which in turn will improve the quality of care for our patients. Watch and read below to learn more about how this program aims to transform learning in the field. Our staff, and more particularly our staff in the field, are highly motivated to learn and grow but they currently face difficulties trying to access learning and development opportunities. The challenges they face in the field, the remoteness of our projects and the low connectivity make it necessary to redesign or redefine the current learning opportunities we are offering. Tembo is the new MSF Operational Centre – Barcelona-Athens (OCBA) strategy for staff who want and need more access to learning and development opportunities. Tembo will provide every mission with full access to relevant, adapted content, thereby strengthening staff knowledge and skills while helping to improve the quality of MSF interventions. We are also offering a certification system in the form of digital badges. 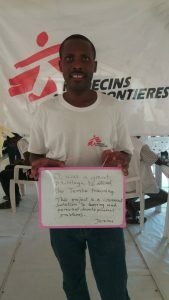 Complementing current MSF learning programs, Tembo will reach most field staff who do not currently have access to learning and development opportunities. We believe that learning can also help to save lives. We are currently preparing to launch the project in the first selected field missions in early 2019. Since the proposal was accepted, we have been using a design-centered approach to create the first prototypes and learning solutions, which have already been tested in Ethiopia and Nigeria. The feedback from our field staff in both missions has enabled us to improve the Tembo system to be as close as possible to the needs of our users. Many of our challenges have to do with the editorial process of selecting, preparing and validating content to create learning solutions. We know that we need to work very closely with technical referents, but it needs to happening in a more agile way, giving flexibility for the learning solutions to be updated. Reaching our end users, especially in the field, is always a challenge, but we have learned that it is essential to take advantage of every opportunity to interact with the learners in the field. Furthermore, connectivity in the field remains a challenge when offering online learning solutions, which is why we created the Tembo Learning Kit and the possibility of offline access. We work with other TIC teams to learn from them and test their solutions. Finally, we also have a big challenge related to the organizational change required for the successful implementation of Tembo as a new learning culture. Through collaboration with different departments and missions, we are promoting continuous learning and showing how valuable it is for our staff and the organization. We are currently working with various innovation partners that bring years of experience and new ideas to the Tembo team. For example, we are working with Mursion, a virtual reality developer, that is helping us create a virtual -reality methodology environment to simulate a patient consultation experience in difficult situations, such as care for survivors of sexual violence. We are working with Catalyst, an international partner expert in Totara, to develop the new e-Campus version that will be available as part of the Tembo Learning Ecosystem. Furthermore, we are almost ready for our first Artificial Intelligence chatbot for Learning that we are preparing with Filtered, an expert in learning recommendation powered by AI. 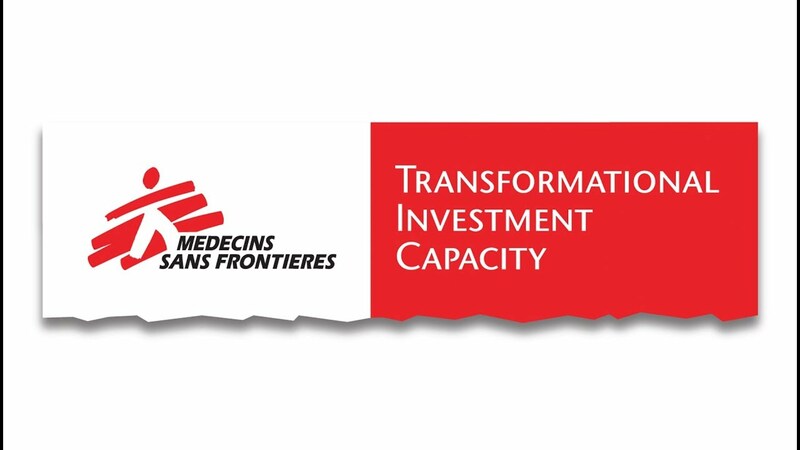 We have a great opportunity in MSF to improve the way we learn. If we start using Tembo, our missions will have better prepared staff who will implement project activities with better quality and higher impact, including improved quality of care for our patients. In the future, once Tembo is implemented in OCBA, we believe its can be scaled up, adopted by other OCs and adapted to local languages and contexts. For instance, our digital badges system for field knowledge recognition, will also be compatible and shared with other Transformational Investment Capacity learning initiatives. To learn more about Tembo, click here. For the latest updates, you can also follow Tembo on Facebook and Yammer.